The award for the Best Semi-Public Bathroom in New York City goes to Lalito, the Mex-Californian restaurant tucked away on a side street in Chinatown. 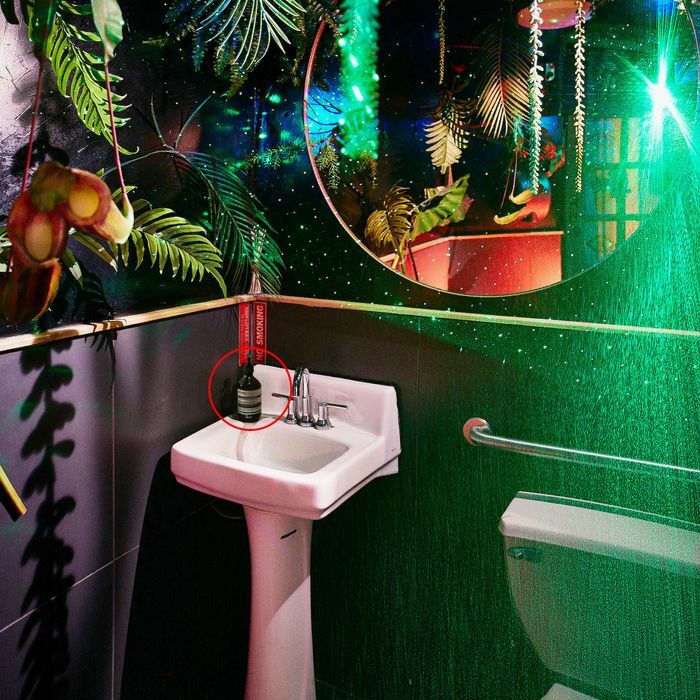 The room is inspired by a clip from Jennifer Lopez’s “Waiting for Tonight” music video, so it’s decked out with green strobe lights; fake jungle plants hang from the ceiling; and on the loudspeaker, the song plays over and over again. 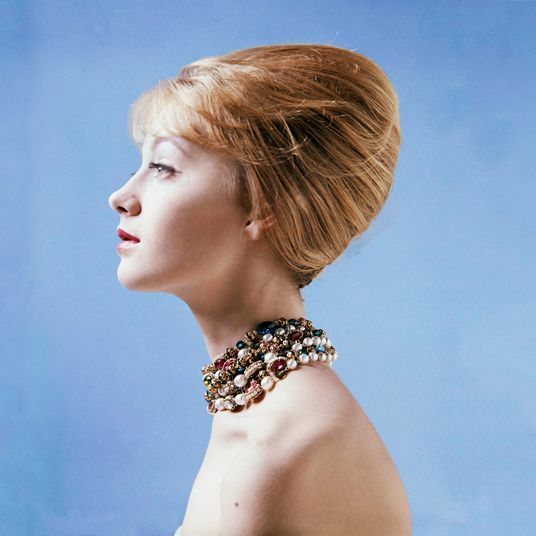 Tirelessly, beautifully, ecstatically. 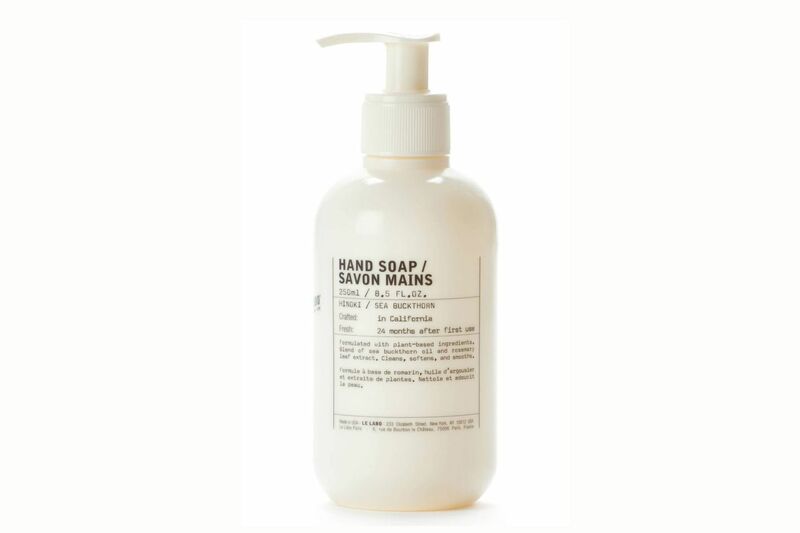 And inside the J.Lo bathroom, people keep stealing one thing: the Aesop hand wash. “We’re installing soap holders because people just keep walking away with them,” said Ben Dos Remedios, one of the four partners behind the restaurant. Dos Remedios says that he and his partners chose Aesop because it’s Australian, like himself, and they’ve known about it forever. Sure, I believe him, but I’m also skeptical. Aesop soap is everywhere, and it doesn’t matter if you’re Australian or not. I spoke to an apartment stager in Florida who told me about how she just used Aesop in a $13 million listing in Coral Gables. I read an article that said the Gramercy Park Hotel uses 250,000 Aesop units a year. I overheard in the Strategist whisper network about the trick of buying only one $40 Aesop bottle and just refilling it with cheaper washes. So Aesop’s the perennial status soap, but now that it’s everywhere from Lower East Side restaurants to apartments in Coral Gables, it’s perhaps a bit overexposed. 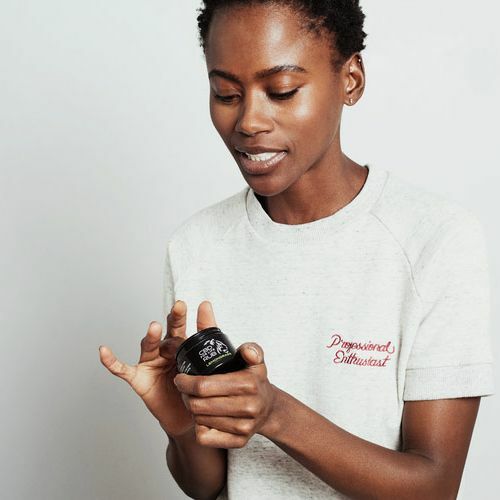 So I went in search for what’s next, talking to culture soothsayers and placing odds on what’ll replace Aesop as the next status hand wash.
Just this October, Le Labo, the 12-year-old New York–based perfume company, released its first line of body products. 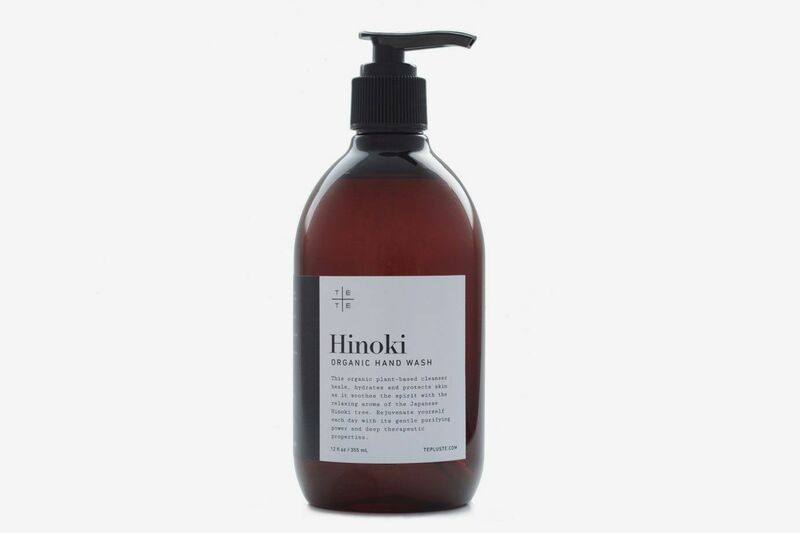 With that came a hand soap called Hinoki, which has the strongest fighting chance of defeating Aesop’s reign, and is already bringing people into Le Labo stores looking to try it out. In just these few months, before Le Labo has even started pitching it to hotels and restaurants, it was picked up by Cafe Colette in the heart of Williamsburg’s blossoming Wythe Avenue (and owned by the same people behind Union Pool and Hotel Delmano) and the Hotel Americano in Chelsea. 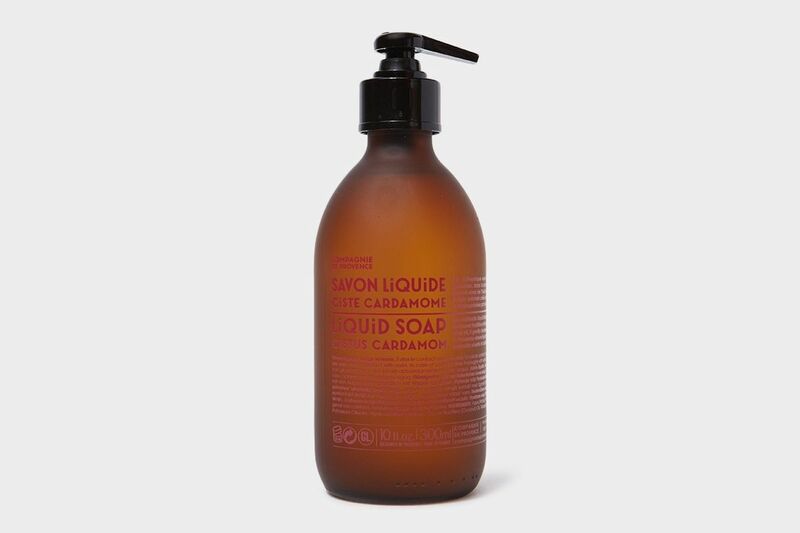 SoulCycle partnered with Le Labo for their in-house line. 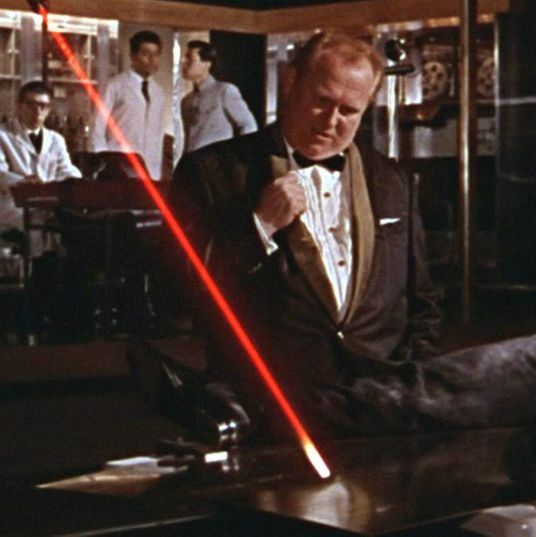 They’ve been in contact with the Bowery Hotel. 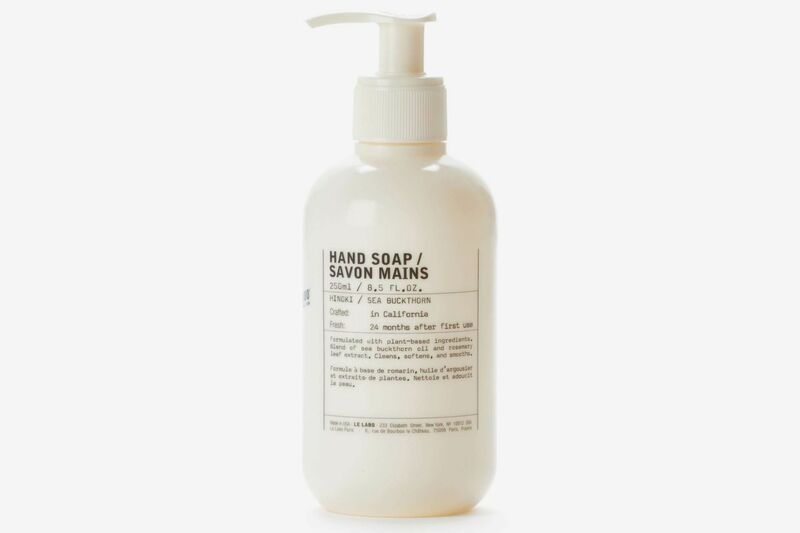 For everyone who can still sniff out Santal 33 when it’s lingering behind in a conference room at work, this is the hand soap for you. And it’s cheaper than Aesop. 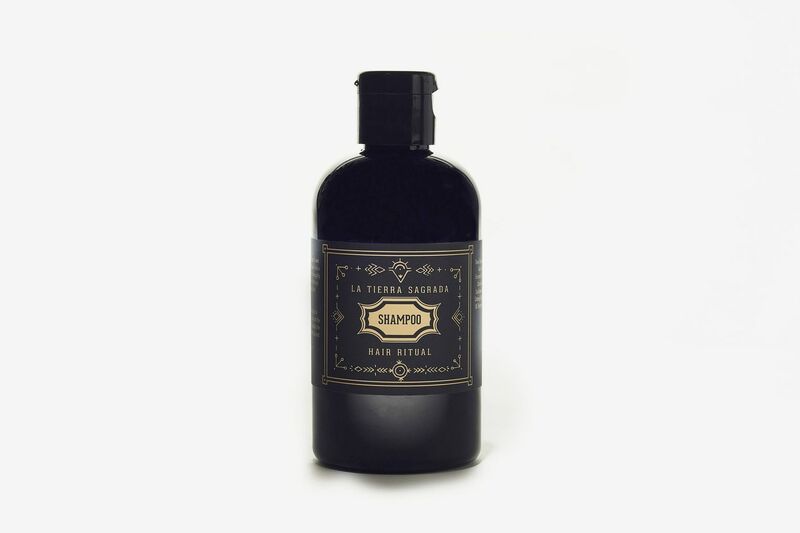 Le Labo reached ubiquity with Santal, and our bet is that they’ll do it again here. When Atla, the Noho Mexican restaurant, first opened last year, they were using soap by a brand called Te+Te (Hand+Hand in Japanese) that’s made of Japanese essential oils and was started by a Japanese-born former sculptor. But a little while later, the restaurant struck up a deal with Aesop and the Te+Te disappeared. Aesop prevailed, for now, but Te emerged as a strong and worthy contender. 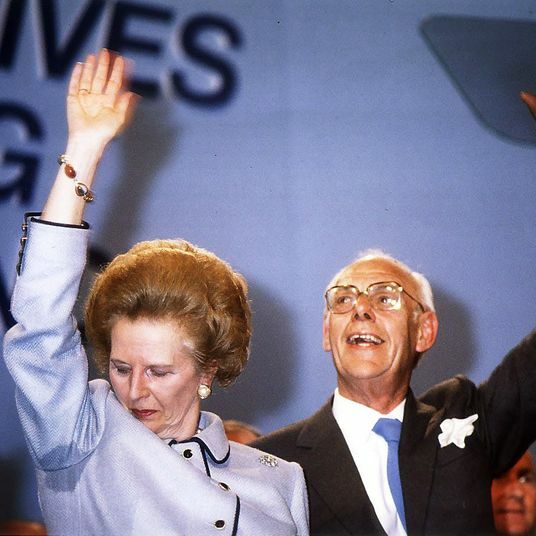 Proof that something else is in the air. And note: This, like the Le Labo, is Hinoki-scented. If there’s anything we can know for sure, it’s that Hinoki is the fragrance of the future. With a little more name recognition, this is primed to take over. 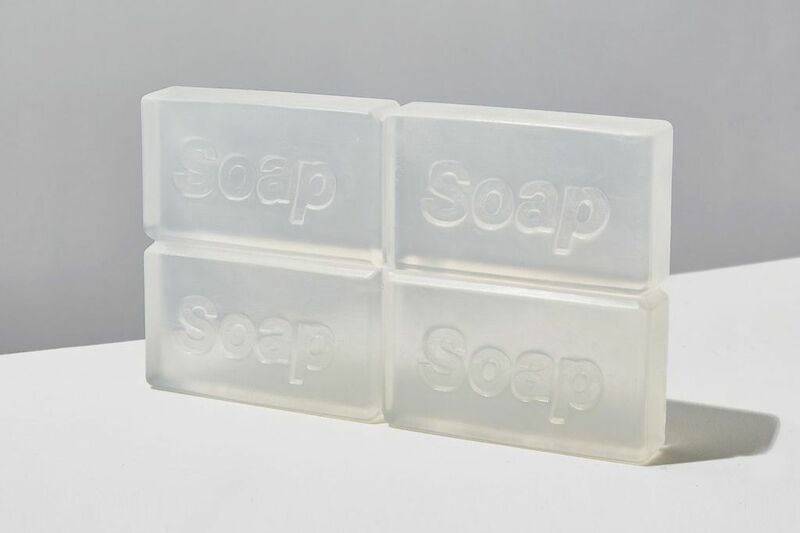 Restaurants will probably never fully get behind a bar soap, but I wouldn’t be surprised if you started seeing these in every design-obsessed minimalist’s house. Just wait till Goop writes about it. 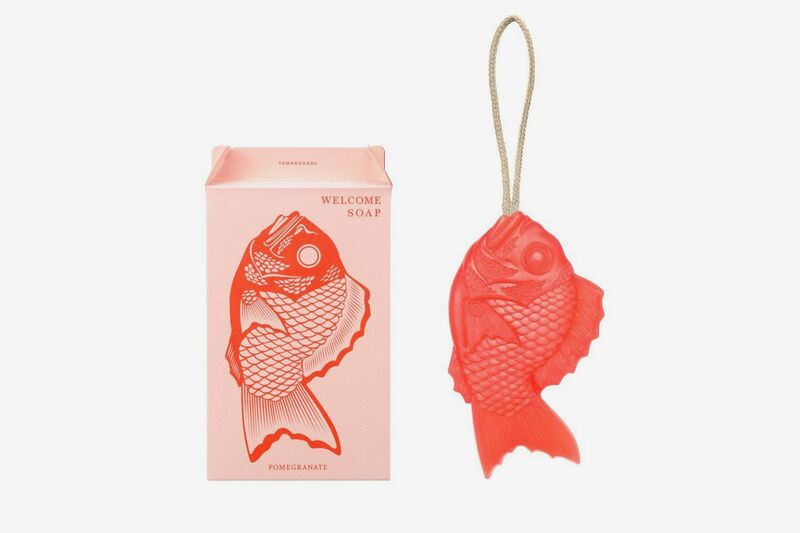 Tamanohada is a 120-year-old soap factory based in Tokyo, but their fish-shaped soap on a rope is popping up at culty design shops from Coming Soon on the Lower East Side to the Cooper Hewitt’s gift shop, so it’s something people in the know would recognize from around and delight to see in use. 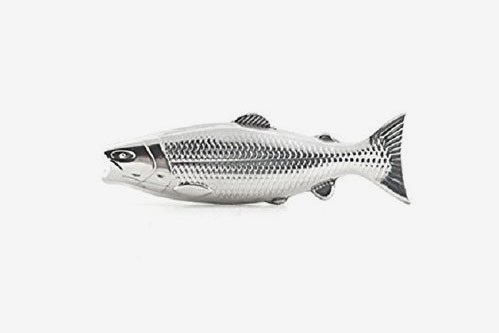 It’s based on the Tai fish, which is also a sign of good fortune in Japan. 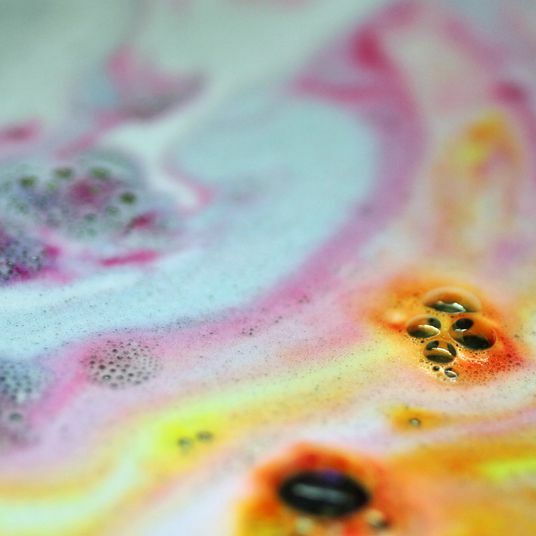 Like most of these soaps, they’d made a great housewarming or hostess gift. 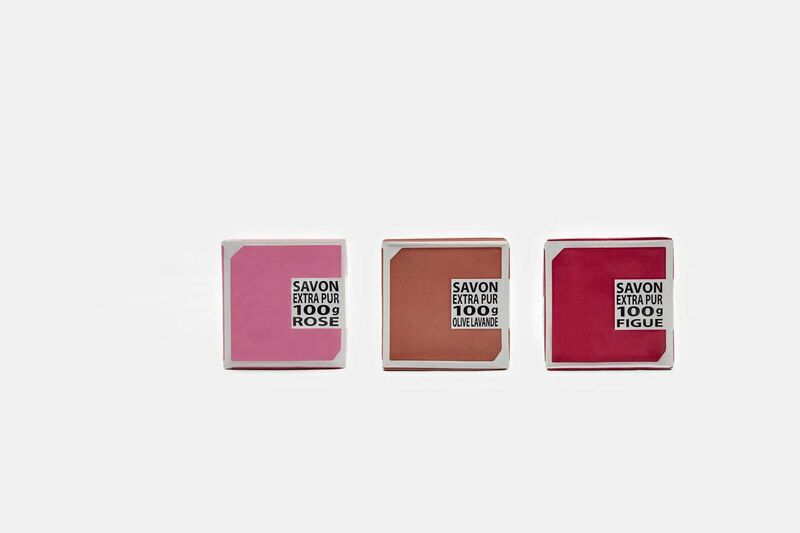 The packaging is simple, graphic, and instantly likable. The red fish smells like pomegranate. As much as I hate to say it, the world isn’t ready for fish soap in $13 million homes in suburban Florida. 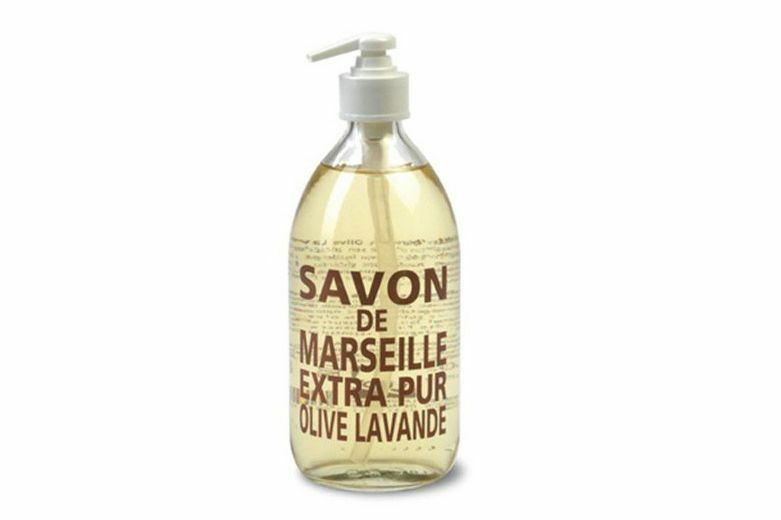 If the simple text design of Aesop is what draws you in, this La Compagnie de Provence will similarly please, with a bolder pop of color. 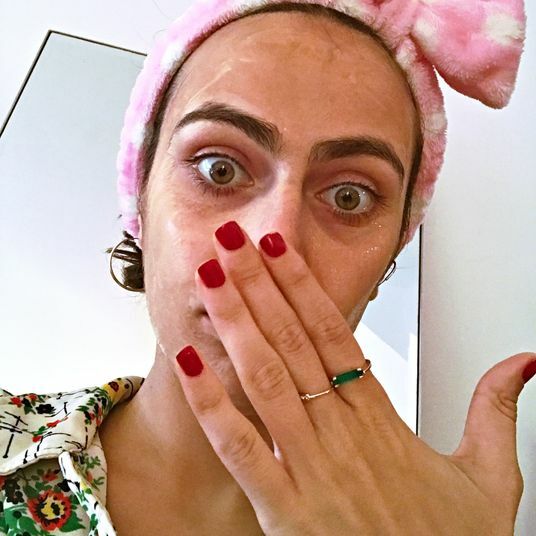 Lesley Arfin swears by it, as she told us in her What I Can’t Live Without, “Sometimes, I do a little bathroom drive-by, skip the toilet business altogether, and just let my hands live it up. 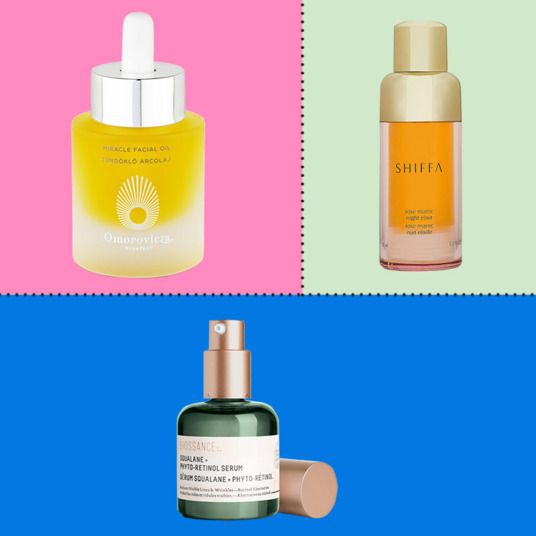 The bottle is a sturdy glass, the graphic design is simple and pretty, and you can order refills.” Plus, a French prop stylist told Vogue just last year that this is one of the only things she’ll use to decorate her bathroom sink. They basically look the same, but this one needs a bit more of a cool factor (it’s a little froufrou) to get there. A soap must be recognizable to be statusy. 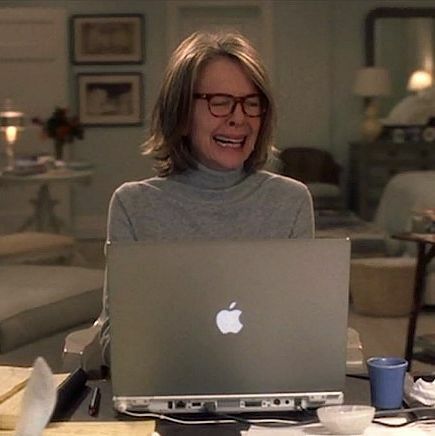 That’s the only way it’ll inflict that guttural ping, Oh, this person knows. 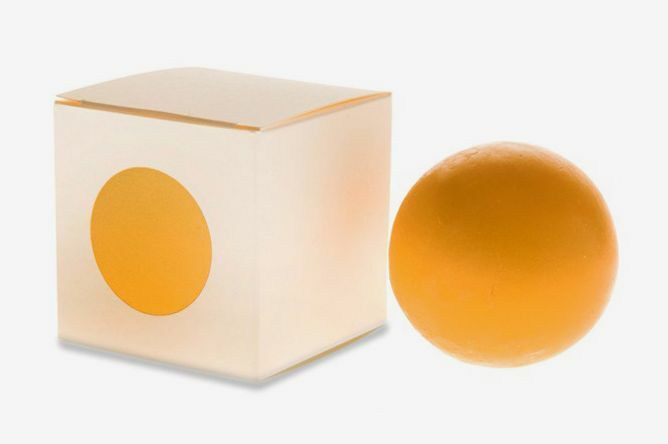 But the more discreet and exclusive that code of recognition, the better, and that’s why Studio Cue’s Golda Hiba soap is possibly the gold standard. Once you open this baby up, there is no branding. It’s only recognizable from it’s large, perfect, yellow sphere, and it’s smell, which is from Japanese hiba wood, almost only found in Aomori, Japan. Turns out, it’s also a favorite among celebrities. 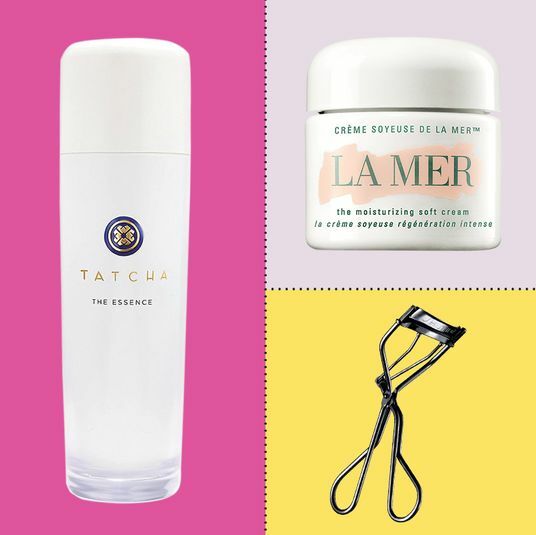 Mae Whitman first told us about it, and Aubrey Plaza is a fan of the brand, so it must be a little L.A. secret making its way out to the world (we called it out in the Strat 100, too). It looks cool, but a sphere is maybe just too unwieldy to sit atop a sink. For artist types, the only choice is Binu Binu (Korean translation: soap soap), handmade bars from a former La Garçonne stylist. 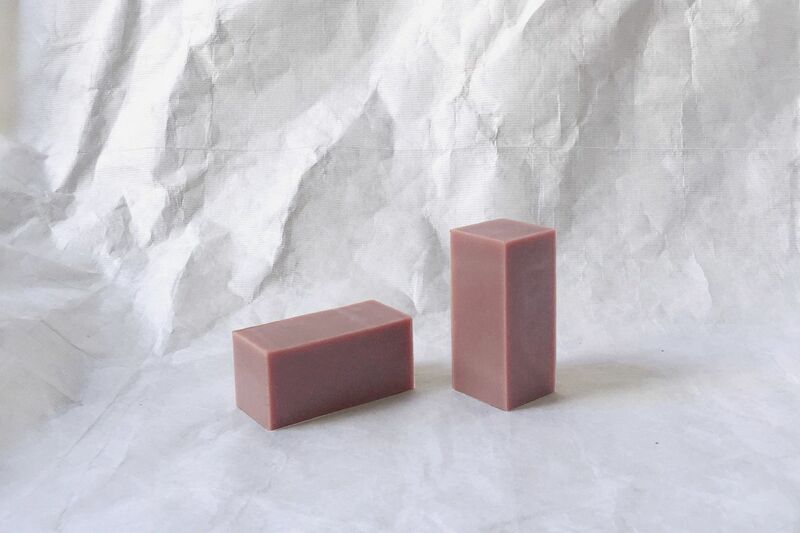 Like the Japanese Golda soap, these are only recognizable by their thick, sculptural, rectangular block shapes, inspired, of course, by Donald Judd. They sell these in the Hauser & Wirth Gallery Shop in L.A., at Dimes, at Herman Miller, at Bird, at ABC Carpet & Home, and at Apiece Apart. It’s the soap of art directors and anyone looking to subtly say “I’ve been to Marfa” on their powder-room sink. It’s already sold everywhere, now people just need to buy it.